CTV along with producing partners Big Light Productions and Blue Ice Pictures announced today that production has wrapped on THE INDIAN DETECTIVE, following international production in Cape Town, South Africa and Mumbai, India earlier this year. 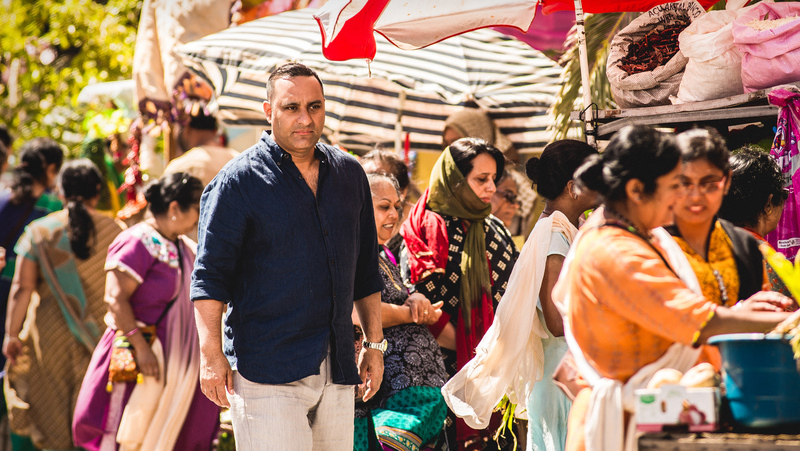 The four-part, one-hour, comedic drama, starring international comedy sensation Russell Peters in his first scripted TV series, is set to premiere as part of CTV’s 2017/18 schedule. THE INDIAN DETECTIVE follows Toronto cop Doug D’Mello (Peters) as he becomes embroiled in a murder case while visiting his father, Stanley (Anupam Kher), in Mumbai. The investigation leads Doug to uncover a dangerous conspiracy while dealing with his own ambivalence towards a country where despite his heritage, he is an outsider. As THE INDIAN DETECTIVE, Peters is a charming, smart, ambitious Toronto cop of Indian heritage whose dreams of becoming a homicide detective are put on hold when he is unjustly suspended. Additional cast members also confirmed today include Canadian icon William Shatner (STAR TREK), who wrapped filming in Cape Town earlier this year playing a billionaire property developer from Toronto who may have ties to the criminal underworld. Additionally, award-winning actor and Bollywood veteran Anupam Kher (Silver Linings Playbook, Bend It Like Beckham) stars as Stanley D’Mello, Doug’s father, a retired airline pilot who moved back to India after the death of his wife. He’s a lovable rascal, trying to reconnect with his son in his golden years. Christina Cole (Casino Royale. SUITS) plays Constable Robyn Gerner, Doug’s tough, beautiful all-Canadian partner. Mishqah Parthiepal (Snake Park) stars as Priya Sehgal, an earnest and dedicated lawyer, born into an upper-middle class family in Mumbai; Priya has chosen to dedicate herself to serving the legal needs of the poor of the Annapuri Slum. Equal doses comedy and high-stakes drama, THE INDIAN DETECTIVE is executive produced by Golden Globe®-winning and Emmy®-nominated Frank Spotnitz (THE MAN IN THE HIGH CASTLE, THE X-FILES) of Big Light Productions and Lance Samuels and Daniel Iron (MADIBA, THE BOOK OF NEGROES) of Blue Ice Pictures. THE INDIAN DETECTIVE is a co-production between Big Light Productions, Blue Ice Pictures, Wonder Films, and Bell Media. The series was created, executive produced, and written for Russell Peters by Spotnitz and Smita Bhide (HUNTED, TRANSPORTER: THE SERIES). The series is directed by BAFTA award-winner Sandy Johnson (BENIDORM, JONATHAN CREEK) and produced by Trevor Hopkins (FORTITUDE, CUFFS). It is executive produced by Blue Ice Pictures’ Daniel Iron and Lance Samuels (MADIBA, THE BOOK OF NEGROES), Wonder Films’ Mark Burton (Water, Tallulah), Russell Peters (HIP-HOP EVOLUTION), CPI Pictures’ Clayton Peters (Breakaway, RUSSELL PETERS VERSUS THE WORLD), and Paul Canterna. Co-executive producer is Sharon Remmer (THE MAN IN THE HIGH CASTLE, MEDICI: MASTERS OF FLORENCE). Production Executives for Bell Media are: Sarah Fowlie, who is Director, Original Programming, Comedy; Chris Kelley, Production Executive, Original Programming; and Corrie Coe, who is Senior Vice-President, Original Programming, Bell Media. Mike Cosentino is Senior Vice-President, Content and Programming, Bell Media. Randy Lennox is President, Bell Media. The project is financed by Blue Ice Pictures and the Industrial Development Corporation of South Africa (IDC).